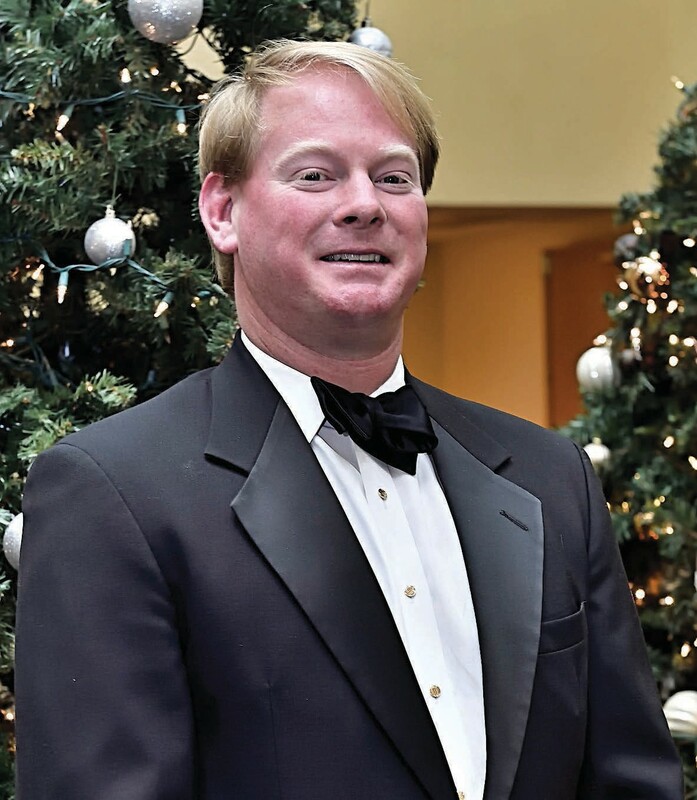 Candler Wilson of Beacon Builders Inc.
Candler Wilson of Beacon Builders Inc. was recently installed as the 61st President of the Home Builders Association of Greater Savannah (HBA). Wilson was installed by his father, James C. Wilson, Jr., (26th President), and by his brother, James Corde Wilson, III (50th President). The ceremony took place at the Savannah Marriott with over 240 members, family and friends. Born and raised in Savannah, Wilson is a second-generation builder and is the son of Jim and Barbie Wilson. He attended Savannah Country Day School and the University of Georgia where he earned his degree in Economics. Upon graduation in 2001, he and his older brother and now business partner, Corde Wilson, formed Beacon Builders, Inc.
well as being named the Builder Member of the Year for 2015. Wilson has been married to the former Kathleen Watters of Duluth, GA for 10 years . and they have been blessed with three children, a daughter (age 8), and twin boys (age 6). Other Officers installed at the annual event were Jeff Schofield of Green Choice Custom Homes as Vice President; Fred Bricketto of Mungo Homes as Treasurer, Matthew Johns of Matthew Johns Construction as Secretary; Terri Sherman of Ameris Bank Mortgage as Associate Vice President and Brent Campbell of Mungo Homes as Chairman of the Sales & Marketing Council. Board Members for the Greater Savannah HBA and Sales & Marketing Council were also installed at the event. Included among the Board Members were Tanya Milton of the Savannah Tribune and Ronald McGee of Georgia Power. Presidential Awards were presented to Jeff Schofield and Mark Bouy. Byron Loomis of Yates Astro was recognized as the Sales & Marketing Member of the Year and Tracey Burdette was awarded the Woody Woodward Memorial Award, which recognizes outstanding contributions by an Associate member.